← Coming To A Bookshelf Near You! I’ve truly missed publishing posts on Soul by Sole and you can bet your bottom dollar that I will be posting again very soon about my next big adventure in this world. You’ll also have a hard copy of my book in your hands before you know it! The process is happening slowly but surely. I want this final outcome to be more than you could ever imagine and making sure it is perfect for every single one of you guys doesn’t happen overnight. Although sometimes I really wish it did. I am far too excited! Remember this moment in Venice? It couldn’t come back to my mind any clearer. Sometimes I sit and remember little tidbits from my travels and it feels like I have just experienced them. It’s as if I can still feel the breeze on the back of my neck in Italy or smell the harbour on those islands in Greece. I can so vividly hear the crunching of my shoes on the gravel pathway as I walked The Camino and feel the laughter in my gut as I talked until dawn with friends from Ireland. Having been home for several months now, my travel life feels like a completely different world. I guess it will forever be this little universe I can call my own and go back to whenever I feel it calling me. That’s pretty special if you ask me. I’ve decided to enter an incredible contest with a very renowned photography blog titled I Heart Faces. The theme is ‘Beautiful Black and White’. This image always makes me feel free. It captures the essence of the mindset I always strive for. 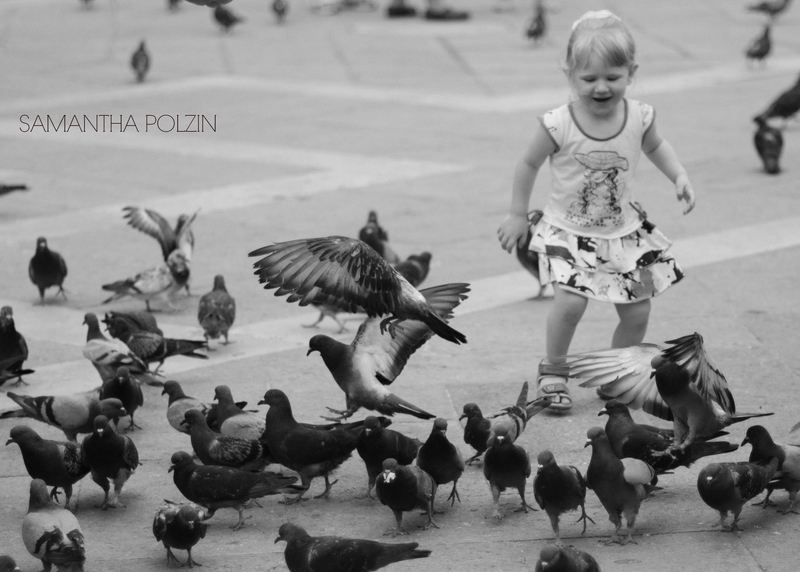 Spread your wings, reach your dreams, jump, fly, find your inner child and frolick in all that life has to offer. I can’t wait to share my adventures and captured moments with you all once again. Hang tight friends, I promise that wonderful stories are just around the corner! Your support continues to amaze me. Samantha: It was so nice to meet you the other day at Seven Shores….I don’t know for sure if you remember me but I knew right away we shared common interests ….photography and the love of it…writing…. and of course Eckhart Tolle ….so nice to speak briefly as it was with someone who understands a passion for a call and how that drives us forward to pursue the things we love most…I have no doubt whatsoever that you will soar high and leave a lasting imprint on many….you already are ….whether talking to someone much older than you in a coffee shop or guiding a younger woman as she embarks on her world travels…..you have a gift to give . I’ll be watching for your book….I completely understand wanting it to be of high quality and being patient as that process takes place. Keep pursuing your dreams….if you can see it you can have it and all that is required is Vision and Imagination . Obstacles will come as you know but that just tells you that your getting closer. They wouldn’t be there unless you were passionate about what you’ve been called to.